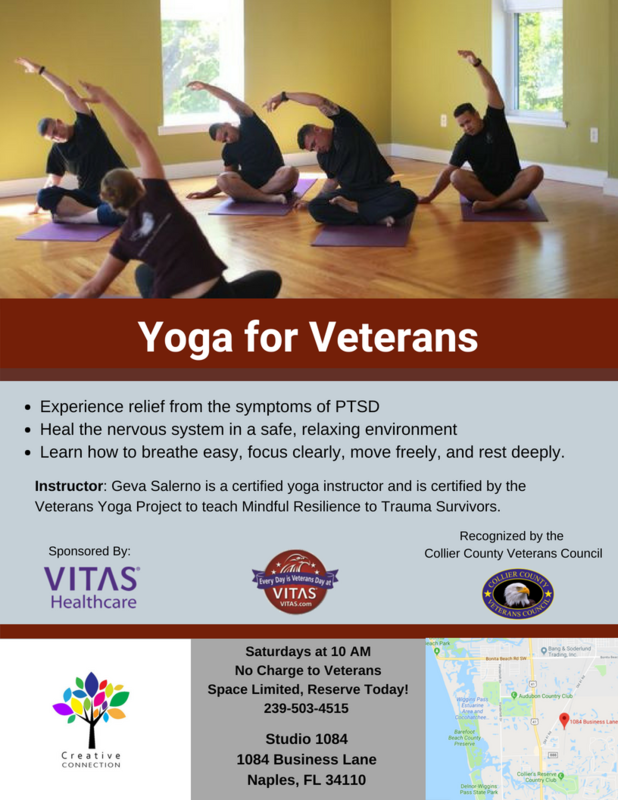 This Yoga for Veterans course was based on the Mindful Resilience for Trauma Survivors program created by the Veterans Yoga project. Mindful Resilience has been successfully integrated into mental health and addiction treatment programs for veterans and active-duty military across the US and Canada. 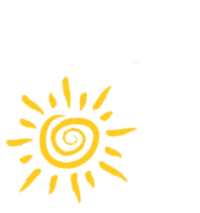 The program is an evidence-informed, clinically-tested yoga program that was developed specifically for veterans recovering from post-traumatic stress and other psychological difficulties. Breathing is the bridge between the mind and the body. Breathing techniques are used to calm and strengthen the nervous system and relax the body and mind. Mindful movement helps the student to re-inhabit the body in the present moment, building awareness and a greater sense of connection between the body and mind. Meditation allows us to gain control over the mind so that we can use it to our benefit. Over time, the practice leads us to clarity and peace of mind. Guided Rest, or “Yoga Nidra,” is sometimes called conscious sleep. The practice allows the student to experience a combination of gentle alertness and deep relaxation. Is this therapy? Will I talk about about my feelings? When you arrive the instructor will greet you and show you the space. Mats are provided. Students either sit on a mat or in a chair. There is a brief introduction in which the instructor will explain the goals of the course and outline that day’s class. Students are encouraged to always make themselves comfortable in the class and to participate to the extent that feels food to them. Next, the instructor will guide the class through either a movement, breathing or meditation exercise. The class will close and the plan for the next class will be announced. Classes are generally 1.5 hours long. Mats, blankets, and bottled water are provided. Nothing extra is needed. However, feel free to whatever you think might make you more comfortable. Loose comfortable clothing is recommended. Anything that feels good and allows for movement is fine. 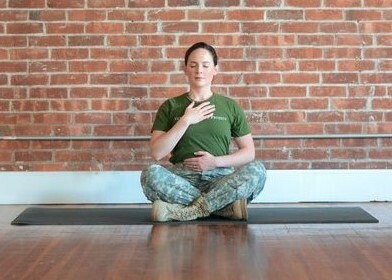 Yoga for Veterans supports a therapeutic PTSD treatment. It is a complementary -not alternative- treatment program for PTSD. Yoga helps with the Phase 1 goals of PTSD treatment, which are stabilization and symptom reduction. The five tools used in this program – Breathing, Mindful Movement, Guided Rest, Meditation, and Gratitude – all have direct positive effects on the nervous system. In addition, yoga is an effective treatment for many conditions commonly occurring with PTSD, including depression and chronic pain. In support of this program we are able to provide referrals to local psychotherapists and counselors through the local vet center. There is no charge to veterans for this program. The program is sponsored by donors and the local Vet Center. Join us to get started on Yoga for Veterans and the Mindful Resilience for Trauma Survivors course.